Often, we don't know quite a lot about poems. But when most people are asked to talk about a poem, they usually choose "Daffodils". William Wordsworth has succeeded in creating a beautiful poem in " Daffodils "that allows the reader to visualize each word.This beautiful poem is ubiquitous with similes and personifications. The poem starts off with a simile, as Wordsworth compares the only character in the poem to a lonely cloud. " I wandered lonely as a cloud". Following this, the poet describes hills and valleys, which might imply that this was written in an area of nature. 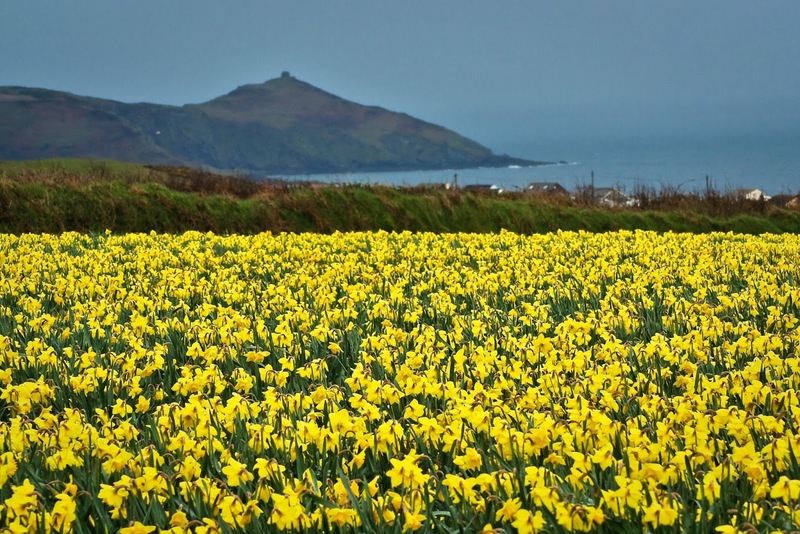 Of course, that is also suggested by the fact that he saw " a host of golden daffodils". These daffodils are "fluttering and dancing in the breeze". Wordsworth has managed to personify these flowers without making the use of this poetic device too evident. This is one of the things I absolutely love about the poem. The daffodils are first referred to as a crowd, which makes his earlier point about being lonely stand out even more than the simile already has. In the second and third stanzas, Wordsworth talks about two other natural elements - stars and waves- without highlighting them. To me, this implies that the poet loved being in nature, as he noticed the beautiful details of the nature around him, which laymen might often ignore. He mentions waves, and the "margin of a bay", which imply that this "host of daffodils" were planted beside an aquatic body. " The waves beside them danced" , is again personification. The main thing I love about this poem is that Wordsworth has woven personification into his poem so perfectly, that it doesn't seem out of place, rather it seems like the seam to a perfect piece of cloth. His words feels like silk in my mouth, because they are so beautifully woven, so perfectly structured, that there is nothing negative I can say about them. "Daffodils" makes me feel so close to nature, for even when I am sitting in a city house, and breathing in intoxicating fumes, Daffodils reminds me of fresh air, blue skies filled with clouds, and fluttering flowers.